Here is 8 yr. old Naomi who is spending her Halloween IN COSTUME... 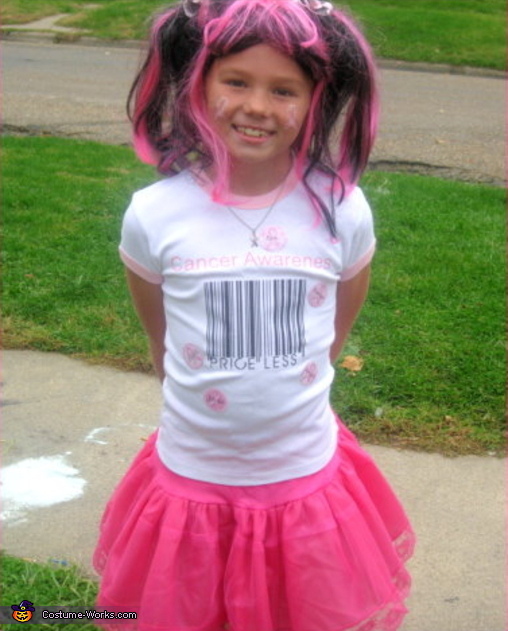 Passing out Breast Cancer info and collecting donations for Cancer Research... as she makes her Trick-r-Treat rounds. Naomi's proud Mother, Rachel, says that what Naomi is doing is called "Candles 4 a Cure". All of her fundraising proceeds will be given to the American Cancer Society. Thank you Rachel and Naomi for all that you do.